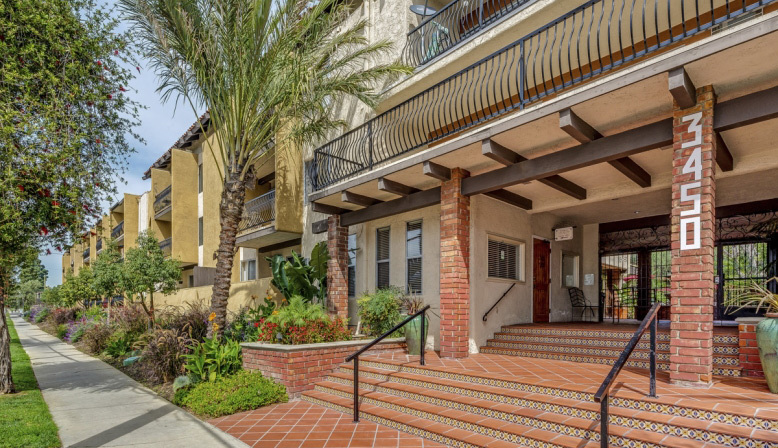 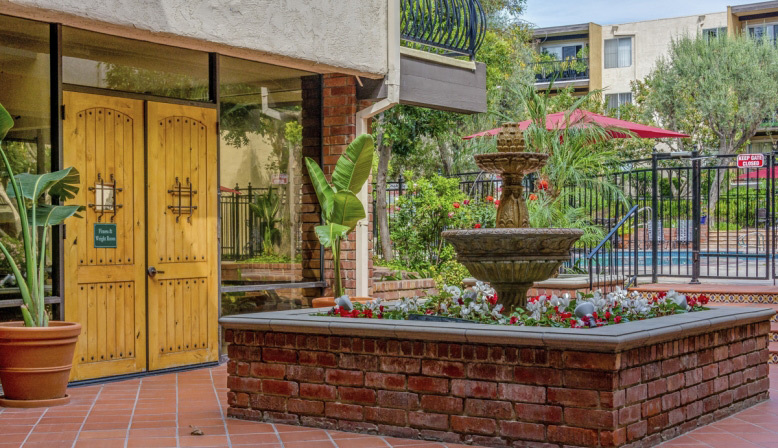 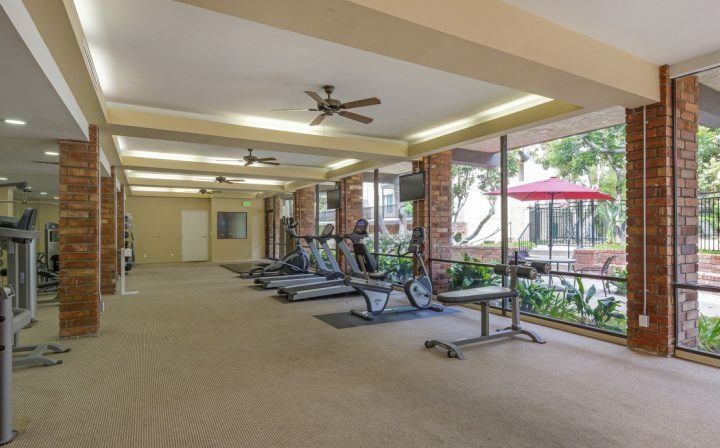 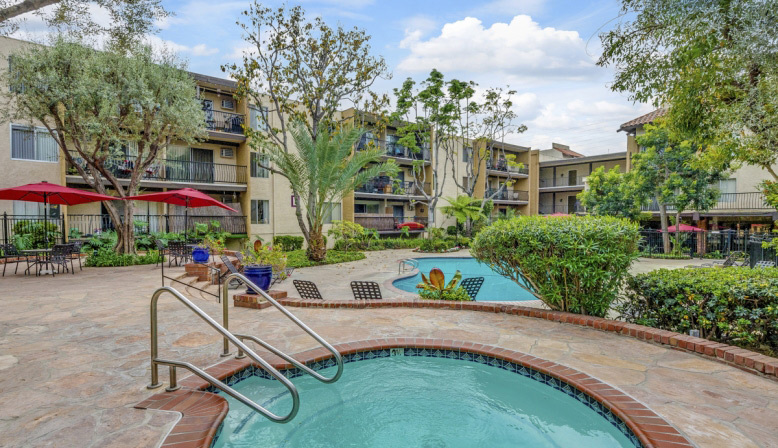 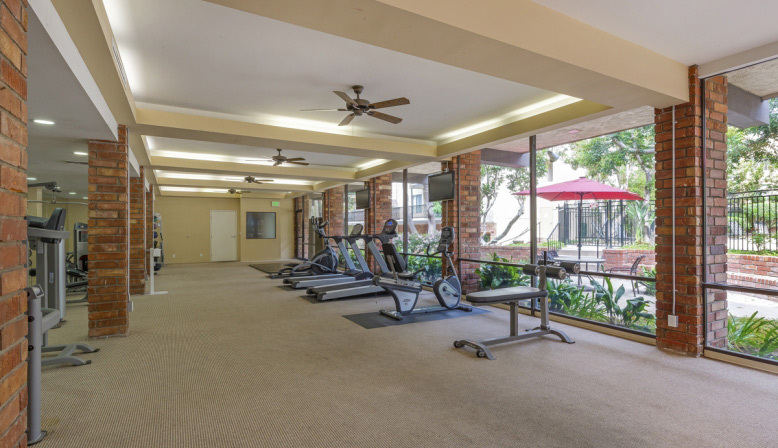 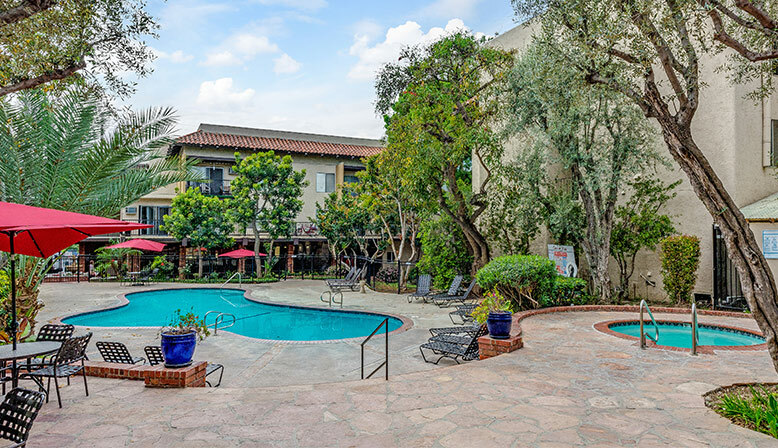 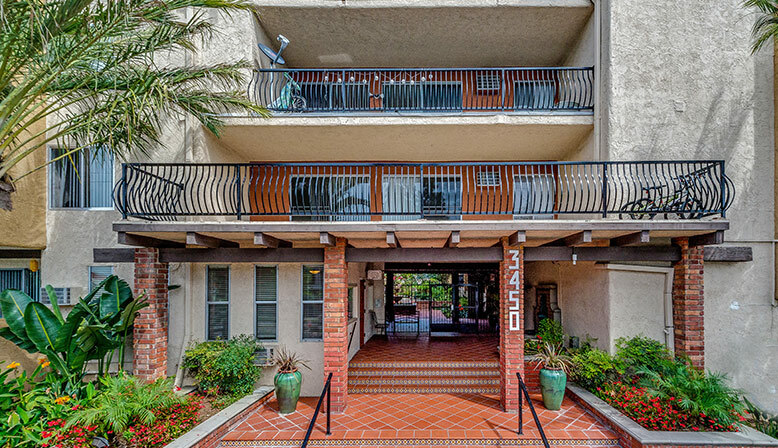 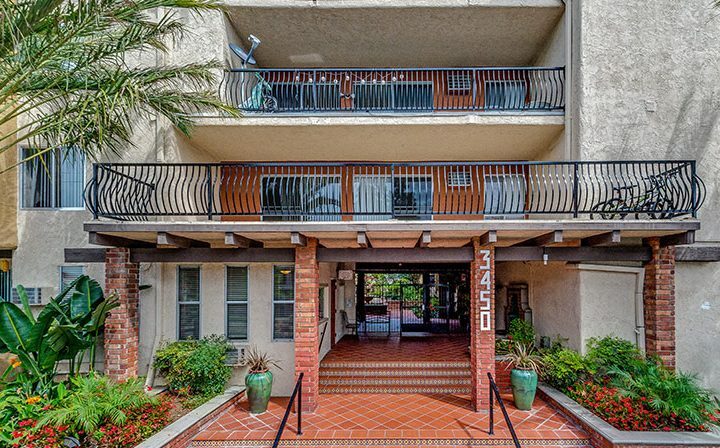 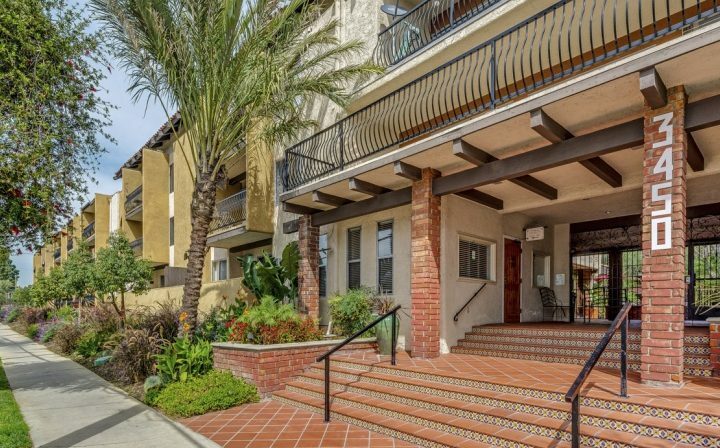 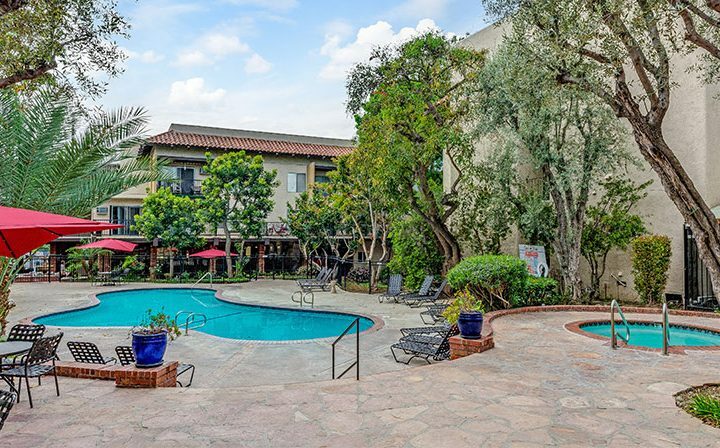 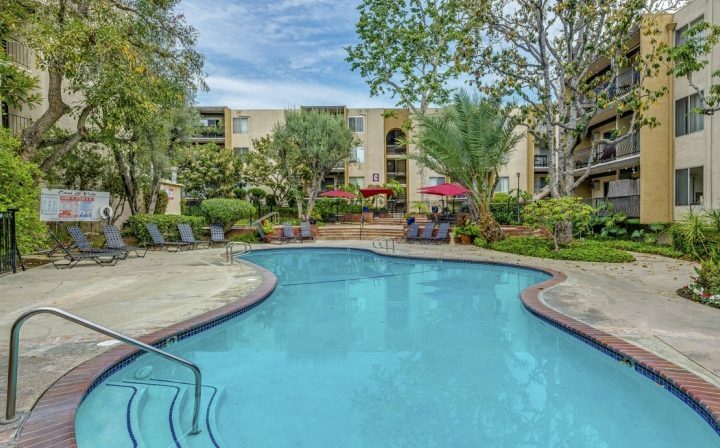 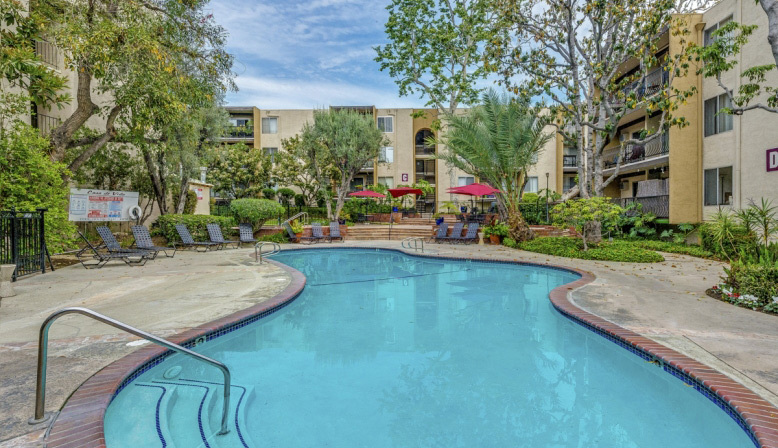 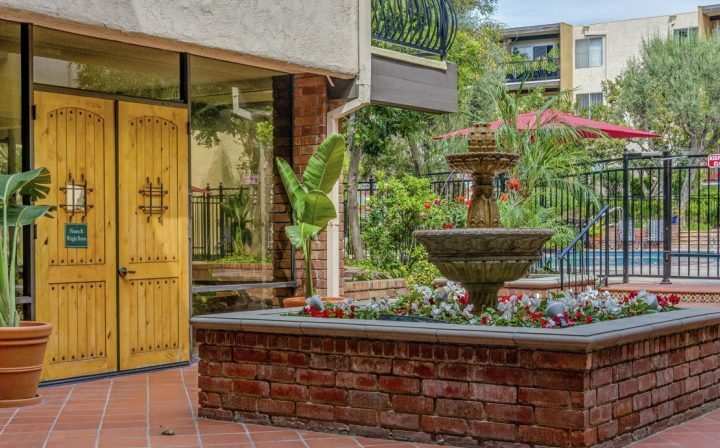 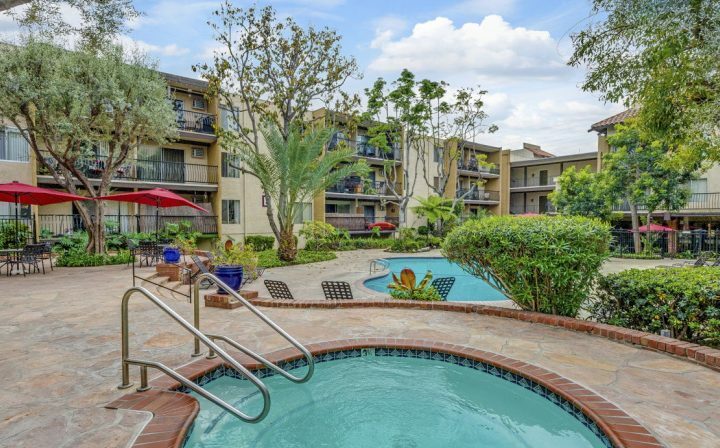 From your first step inside The Palms, the Spanish Mediterranean-style beauty sets the standard for quality in West LA Apartments. 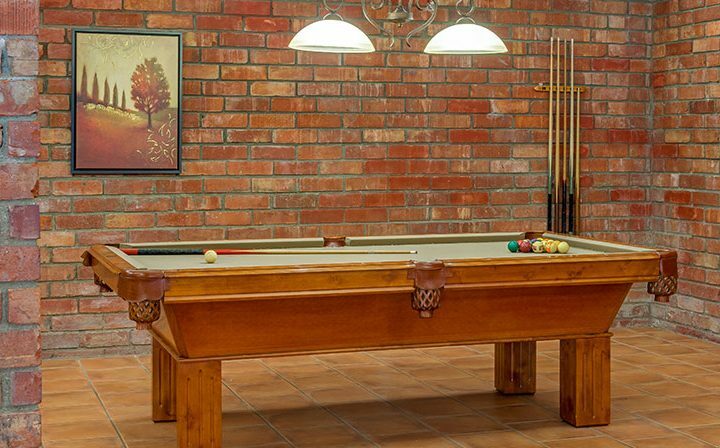 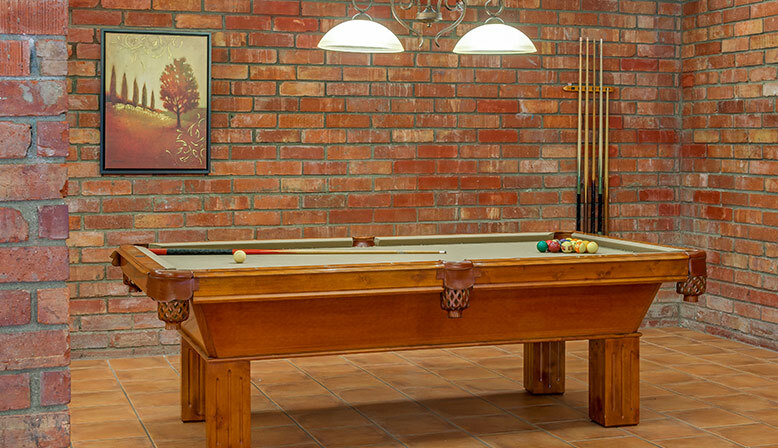 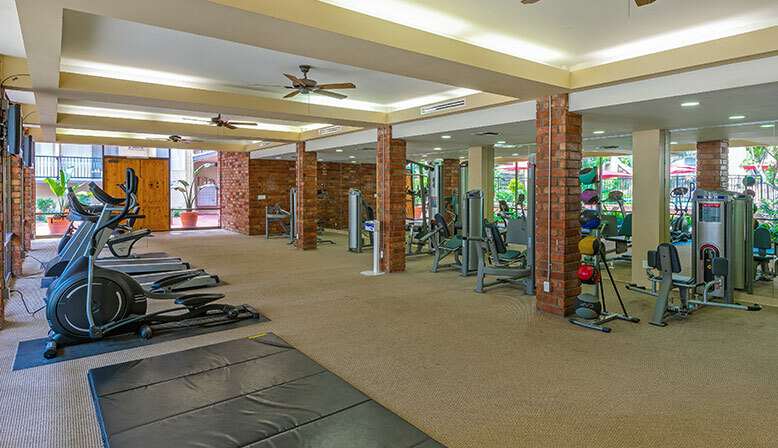 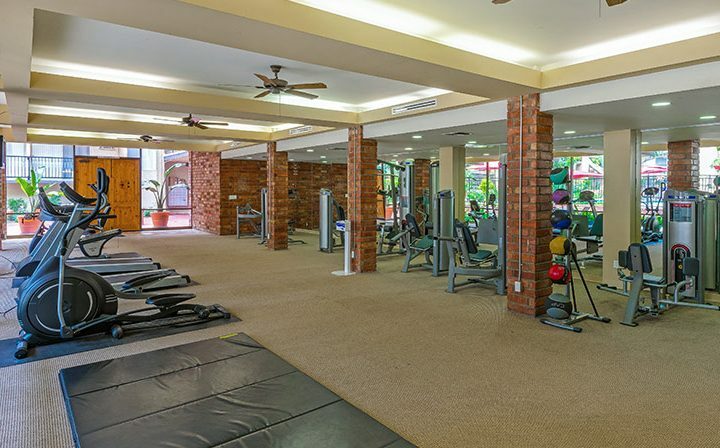 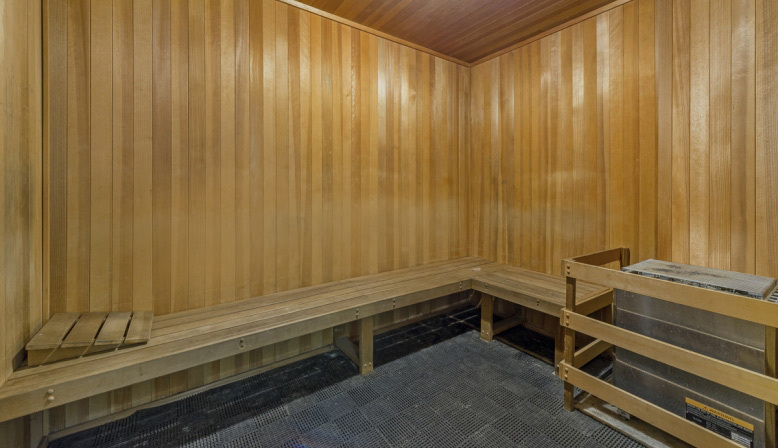 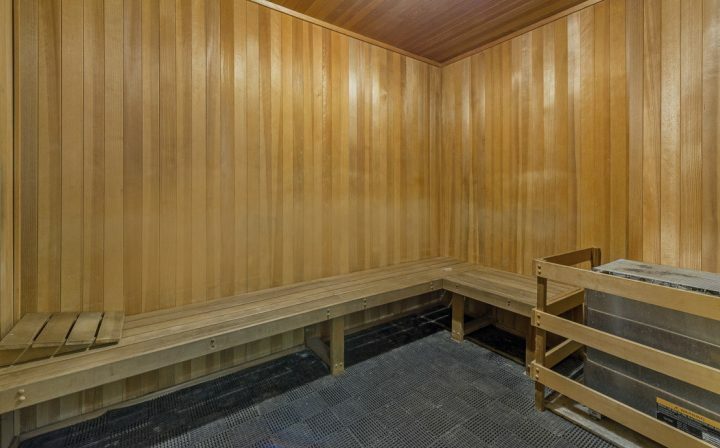 Come breathe the cedar fragrance that permeates the fitness center and sauna. 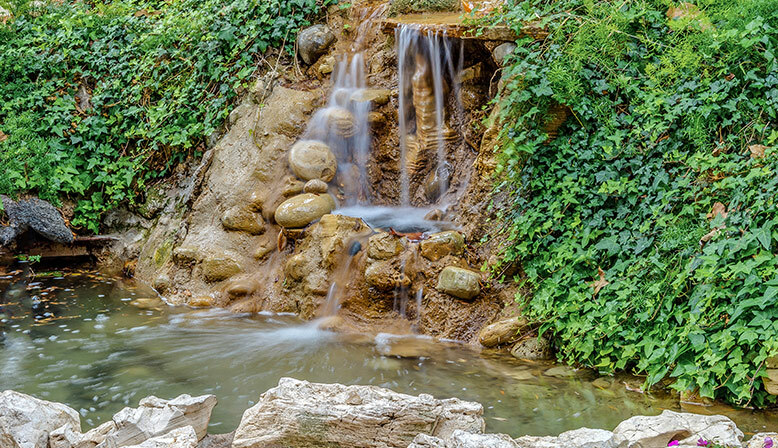 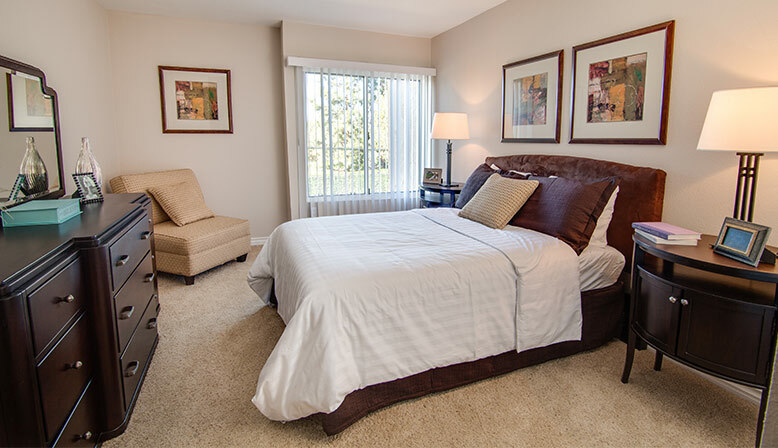 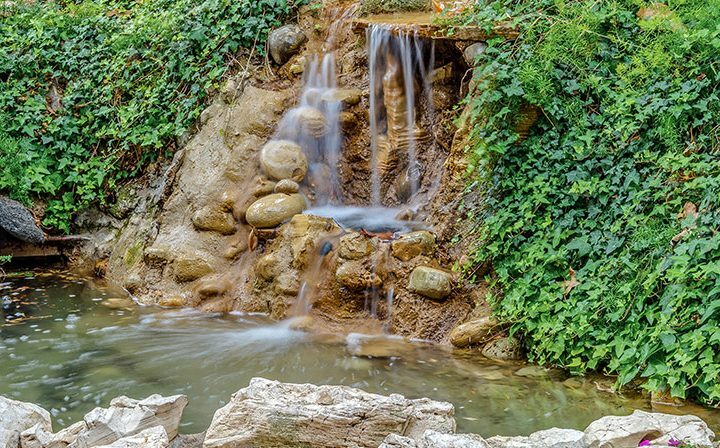 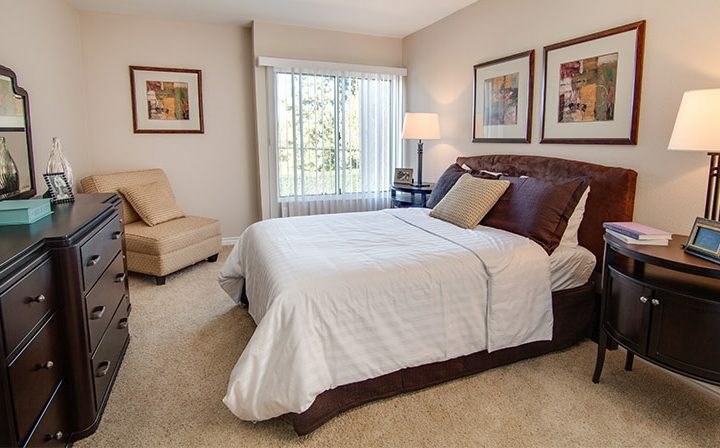 Enjoy the stream that winds its way around the buildings, immediately creating a calming environment for our residents. 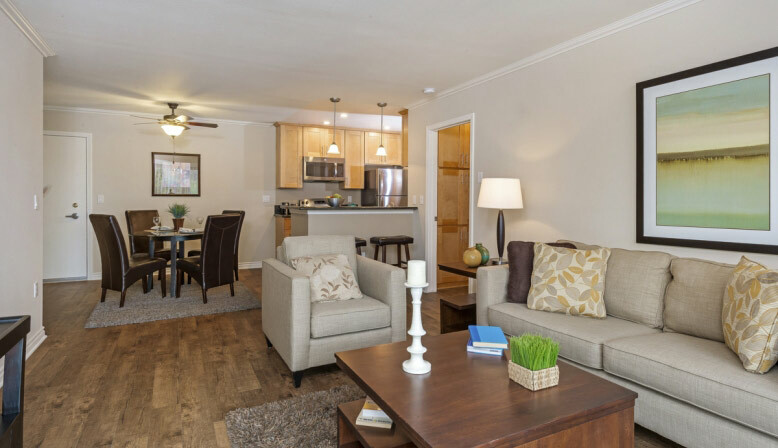 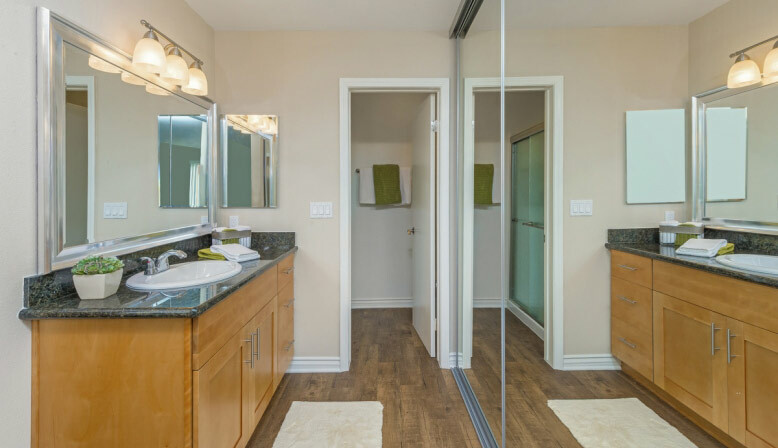 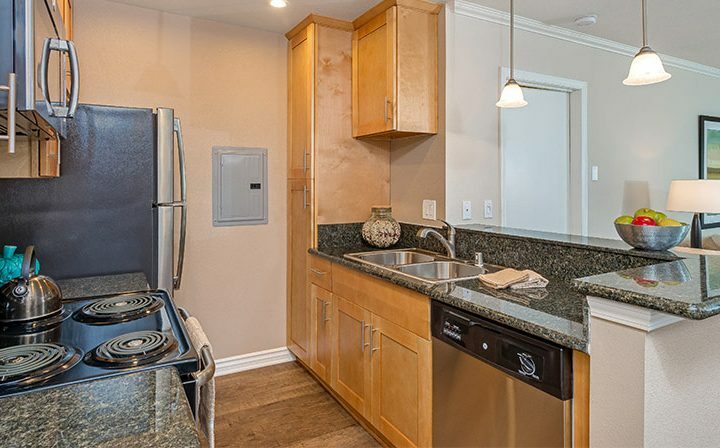 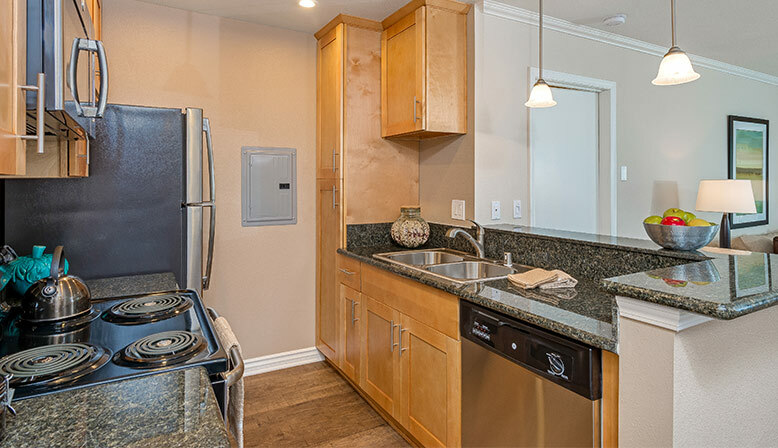 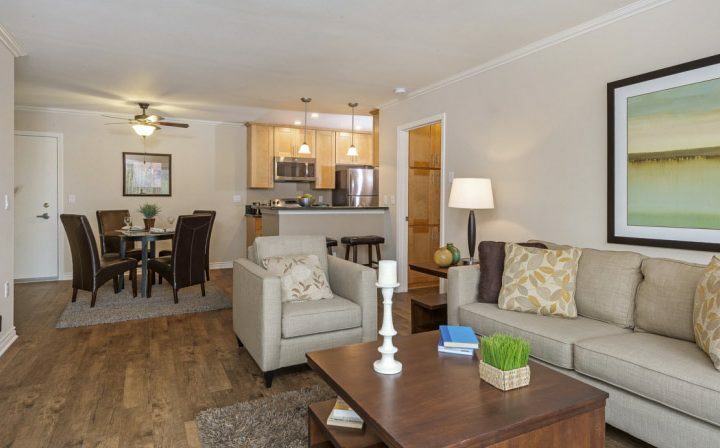 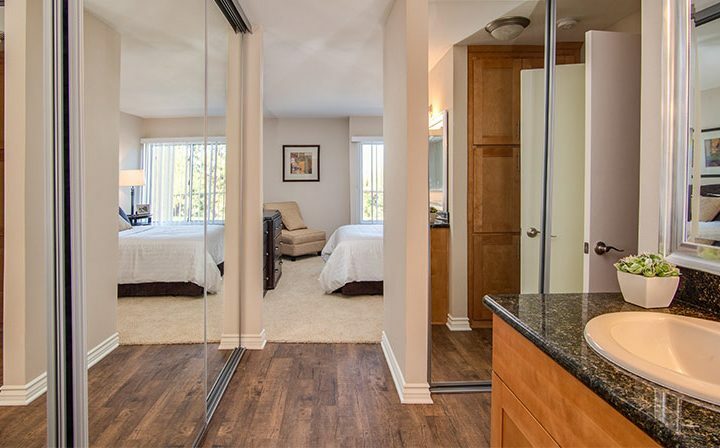 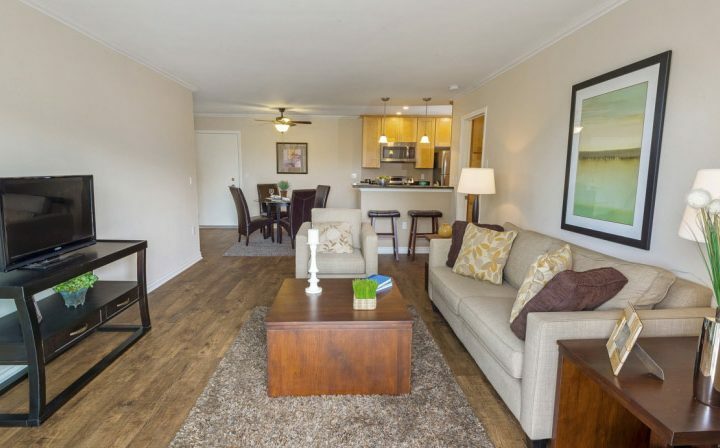 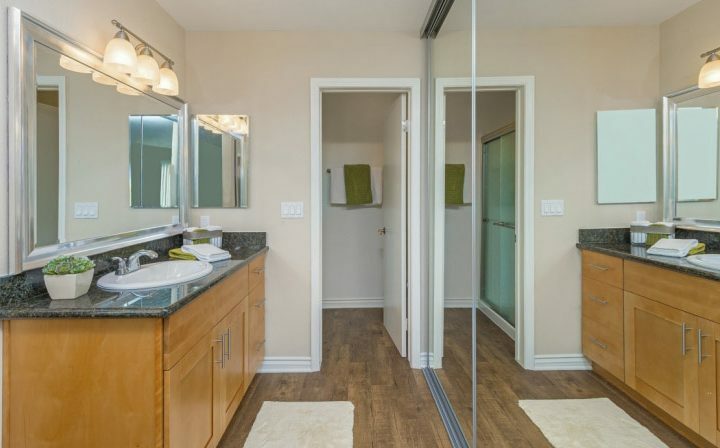 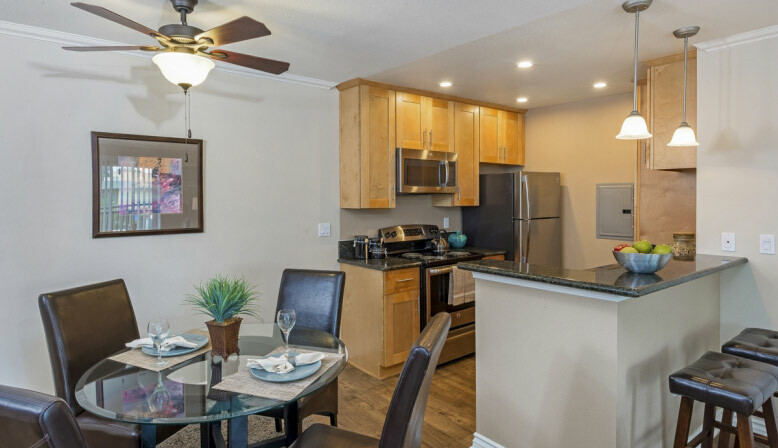 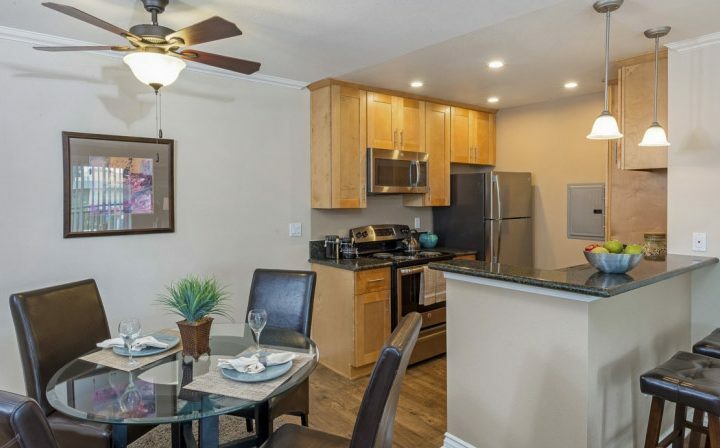 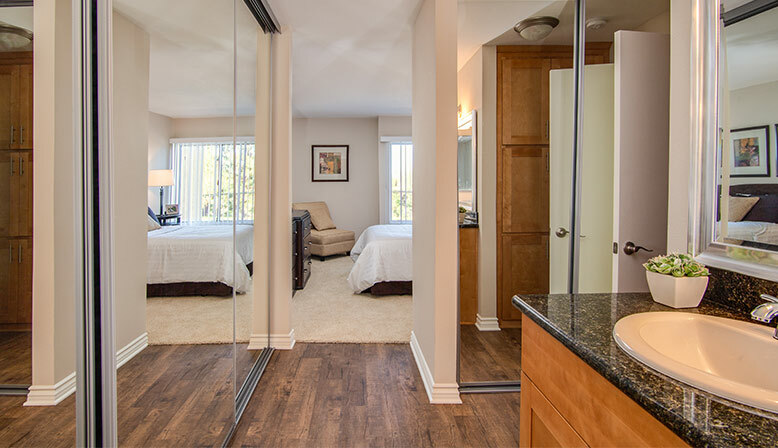 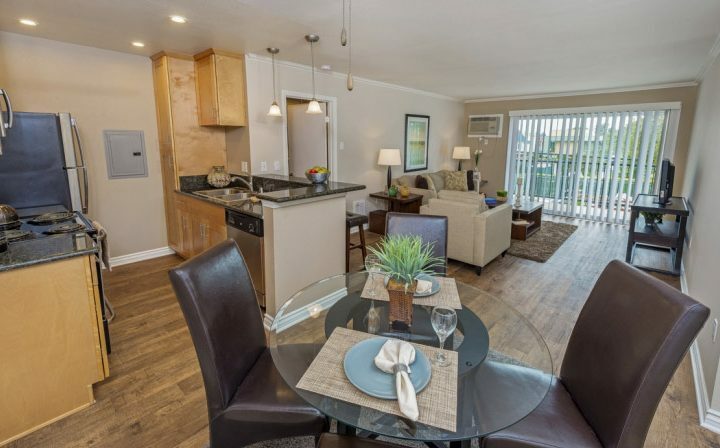 Newly renovated apartment homes feature multiple floor plans with stainless steel appliances, honey maple shaker style wood cabinets, tiger skin granite countertops and birch vinyl strip wood-like flooring. 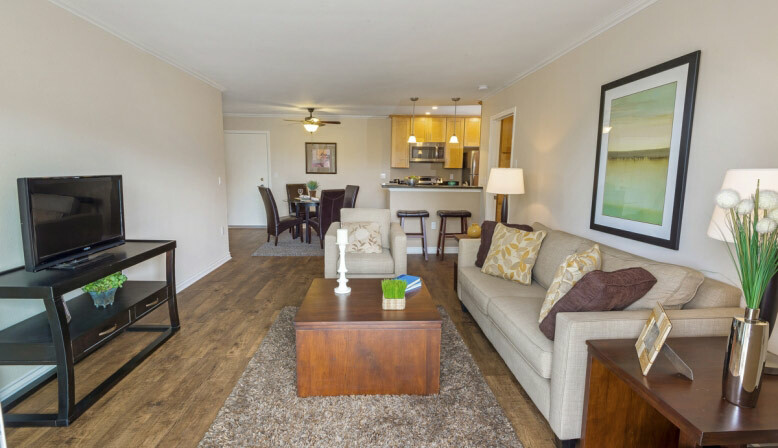 Everything you want is right here at The Palms.